You finally found the house of your dreams. It’s got great style and promising architecture, but there’s one problem…it’s just not very big. Storage and space are limited, but you don’t have to give up on a beautiful home. MCS Closets is here to help you make the most of what you have with custom closets and storage solutions. Whether it’s custom-designed and built bedroom storage to shelving created for tight spaces, no job is too small. 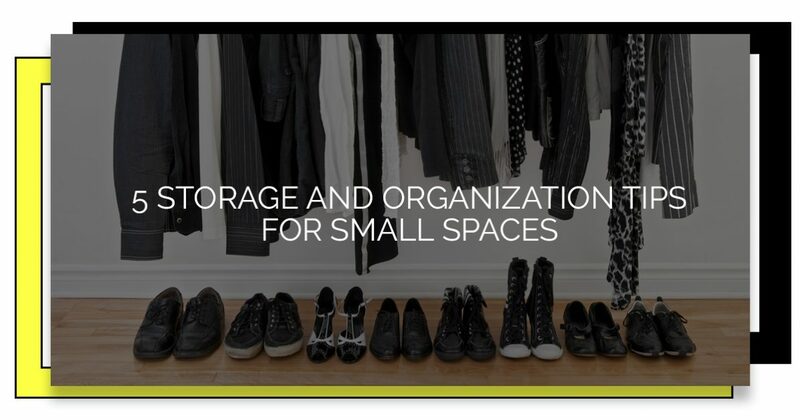 Read on for our top organization ideas for small spaces and call MCS Closets today for a free consultation! It can be nice to have drawers and cabinets dedicated to certain items, but it’s not realistic if you’re living in a small space. On the other hand, those storage spaces can become crowded and if there are many items sharing space. You can solve this problem by creating subsections within drawers or shelves. Parcel your belongings into baskets or fabric cubes to keep your shelving orderly and use a drawer organizer to conquer that junk drawer. You will be able to make the most of the storage space you have and keep things sorted for easy access! Search your home for pockets of wasted space, like the area under your stairs. Any little bit helps — extra storage doesn’t have to mean a full-size bookcase! For the space under your stairs, try a small desk, a reading nook, or get custom-made drawers and shelving for a place to stash your family’s belongings. You can also add more space to your cabinets and closets with over-the-door storage! Try a shoe organizer for a place to store spices, travel mugs, and other small items. You’ve probably seen open shelving spotlighted in fancy home design magazines. Why not give it a try? 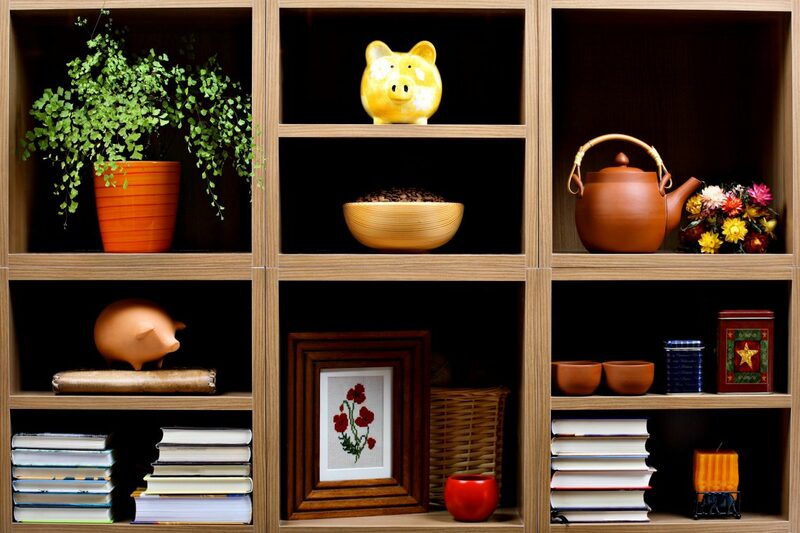 It can be intimidating having your belongings out on display, but it’s a great incentive to really think about what you should get rid of and what you want to keep. Are your pots and pans looking worse for wear? Maybe it’s time to donate them and get an upgrade. Do your shelves look a little crowded? Try downsizing to the only knicknacks you really care about and the items you truly need. If you are tight on space, it’s time to make your furniture multitask. There are a lot of great options on the market now, from coffee tables that extend into table trays to couches and ottomans with hidden storage space. If you can’t find a piece you really like, consider a do-it-yourself project! Are you looking for small bedroom ideas to save space? Do your kids love playing “the floor is lava?” Create a bedroom that is both functional and fun. Get bunk beds for kids who share a room to maximize open space or try a lofted bed to add room for a place to read or play. It will be a fun and exciting change for your kids and it will really open up space in their room. Limited space and storage shouldn’t chase you out of a home you love. There are many innovative solutions to help you make the most of what you have, from furniture built with hidden storage to drawer organizers to help you maximize existing space and keep your belongings in order. You also have the option of custom-built storage solutions with MCS Closets and More! From the bedroom to the garage, we can create the home storage space you need with a design and style tailored to you. Explore our options online or call to schedule a free consultation!